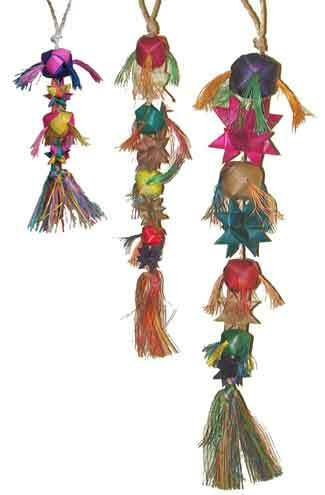 Made from the same palm leaf as Shredders, these colorful toys are yet another twist in shredding delights for your avian family! Mini (pictured above left), great for all those 'lil tweets in your house! !